I’ve never been given the keys to a city, but almost. When I decided to set my Sydney Lockhart mystery series at historic hotels, I began with my favorite ones, since the research would require a multi-night stay at some of the finest old hotels in the country. What I didn’t realize was that viable outlets for promotion would be created. Elated that my first mystery had been accepted for publication, I envisioned book signings and e-mail announcements as promotions, and not much more. But that was a little more than three years ago, and my how things have changed. That first mystery, Murder at the Arlington, takes place in the historic Arlington Hotel in Hot Springs, Arkansas. The town has a large chain bookstore, which I was certain would stock the book. So a few weeks before it’s release, I sent a press release to the local newspaper. There was a nice review, but not much else happened locally to sell the book. 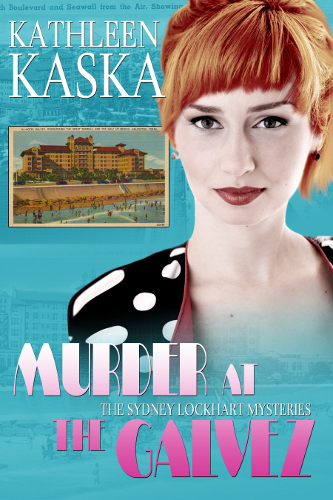 My second Sydney Lockhart mystery, Murder at the Luther, was almost finished. It is set in the coastal town of Palacios, Texas. The 1936 Luther Hotel had become a second home to my husband and I whenever we visited the coast. But Palacios was just a spot on the map, much smaller than Hot Springs; and I wondered if I’d made the right decision when I chose this remote location. 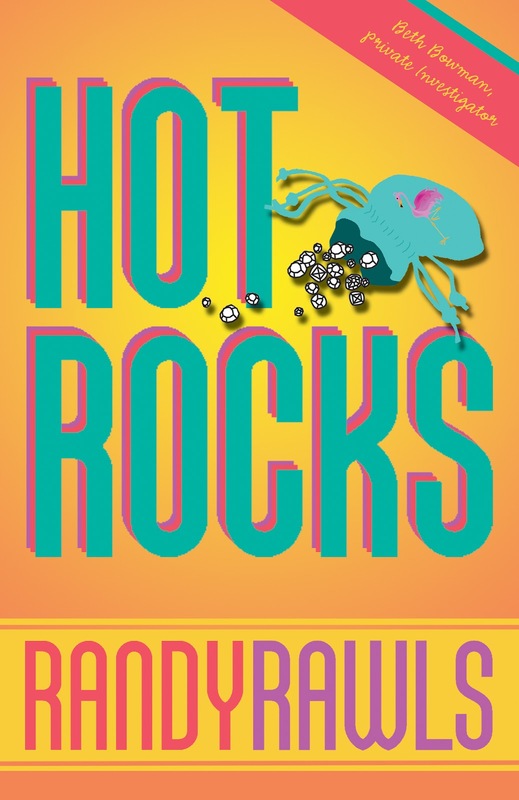 In the meantime, I’d spiffed up my webpage, connected with Facebook, Twitter, and Goodreads, started a blog, and learned the value of self-promotion. Then we hit the road on a lengthy retirement trip (from teaching), which also included a month-long stay at the Arlington Hotel. As soon as we pulled into town, we stopped at the bookstore, expecting to see several copies of my book on a front table. There was no table, no book, and not much interest in Murder at the Arlington. So I decided to promote it myself. The hotel’s executive secretary had already read it and was delighted when I suggested a book signing in the lobby. The first night at the hotel, there was a Halloween celebration in town. Tons of people were imbibing on the hotel’s verandah and milling around the nearby shops on Bathhouse Row. I grabbed a stack of promo cards and spent the evening inviting them to the signing. The next say, I visited the chamber of commerce and they agreed to announced the signing in their weakly publication, website, and on their tourist kiosks. Local shops posted the announcement in their windows. Three shops actually stocked the book. And Maxwell Blade, the famous local magician who entertained the Clintons at the White House, gave us tickets to his show and introduced me to his audience. Later on, a local book group read my book and invited me to their meeting—a luncheon at the hotel. By the end of our stay, I had two successful signings at the hotel and one at a gift shop. More than 200 books were sold that month and I made dozens of connections. Would I have the same success in Palacios? When our travels brought us to the Luther Hotel right before Christmas, I contacted Old Main Bookstore (the local bookstore/coffee shop), the newspaper, and of course, the Luther Hotel. I had my doubts about how successful a book signing in Palacois would be. Me of little faith. The bookstore sold out in the first ten minutes and we took orders for two more hours. Folks staying at the hotel ordered multiple copies (one woman ordered 20); Jack Findley, the owner, now stocks the book, ordering several every few weeks. On my next visit, Jack had a wine and cheese reception for me at the hotel. It seemed entire town turned out; more books were sold; the school superintendent offered me a teaching job and the local real-estate agent offered a good deal on a beach house. I deeply appreciate all the kindness shown. No offense, Tony, but I left my heart in Palacios. Murder at the Galvez (LL-Publications) will be released on December 7. Where to spend a few days in December? My favorite place in Galveston—the historic Hotel Galvez. Kathleen Kaska is the author the Classic Triviography Mystery Series, which includes The Alfred Hitchcock Triviography and Quiz Book, The Sherlock Holmes Triviography and Quiz Book, and The Agatha Christie Triviography and Quiz Book. All three have just been reissued in by LL-Publications. Kathleen also writes the award-winning Sydney Lockhart mystery series set in the 1950s. 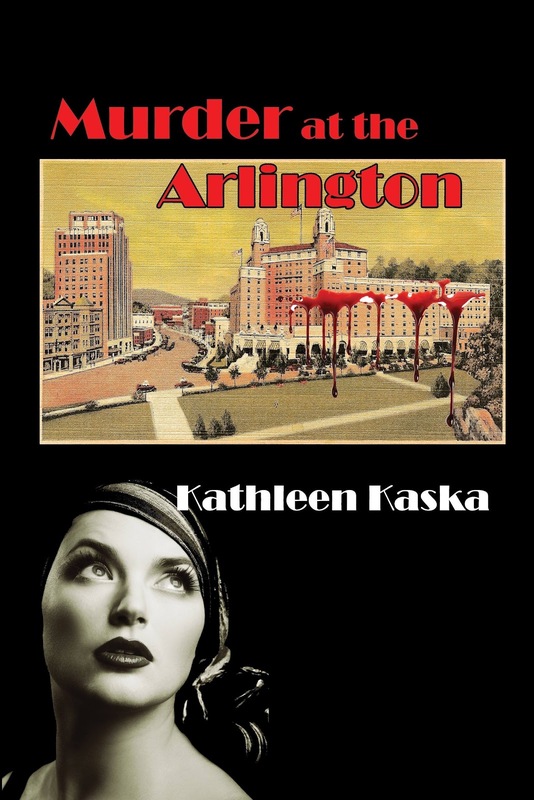 Her first two mysteries, Murder at the Arlington and Murder at the Luther, were selected as bonus-books for the Pulpwood Queens Book Group, the largest book group in the country. 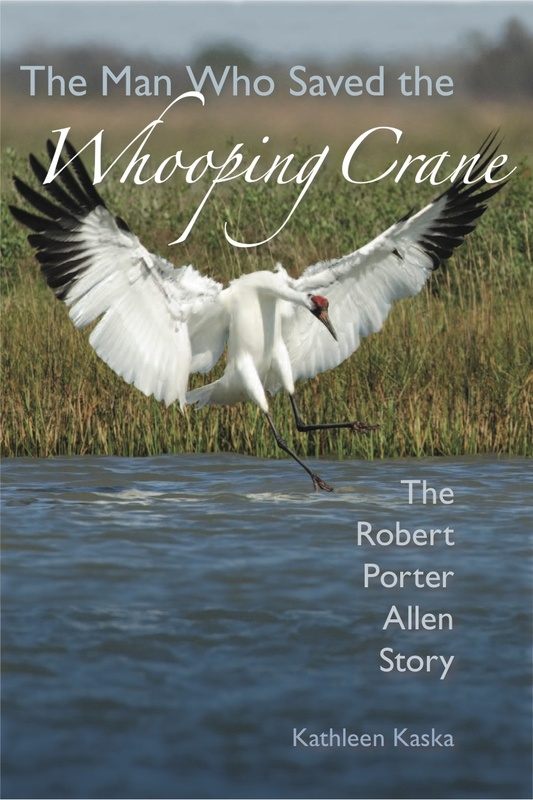 Her nonfiction book, The Man Who Saved the Whooping Crane: The Robert Porter Allen Story, (University Press of Florida) was released on September 16. As you probably noticed from my last post on Make Mine Mystery, I’m a visual learner. And as such, its glimpses into a new reality that get me thinking about plot and story. Attending the RWA (Romance Writers of America) National convention last year in New York City, my writing buddy and I both circled to attend Jenny Cruise’s presentation on vision boards or collaging. I’d never hear Ms. Cruise speak before and I wasn’t disappointed by my choice. When I arrived home, I went to Big Lots and bought an 11x8 canvas, thinking it would make an excellent base for my vision board. You can’t staple things to the canvas. Tape won't stick to the material. I got these three random things to stick to the canvas. The problem is the pictures represent three different stories. I even tried gluing and decopauging materials to the canvas with various decrees of luck. I tried to make a poster board for a table I hosted for a breast cancer fundraiser with limited luck with the decoupage. After talking with a fellow writer on line, I solved my dilemma. I used old Christmas wrapping paper, but you could use brown paper, grocery bags, or pages from old magazines, which gives you your first layer of plot ideas for the vision board. Once you have a base for your vision board, you tape, glue, staple cut outs from magazines, photos, even advertisements that remind you of the story. Even if you don’t quite know what the stories about. Now really look at the vision you and your muse have come up with for the story. Got it? Then write the story. My current WIP is set in fictional Mountain Springs, Idaho. So the snow ladened trees, mountains and even the lake, makes me think of home. My heroine is a caterer that’s refurbishing an old house. I was pleased to find a picture of my hero, kind, but scruffy. My vision board, like my outline is missing some things, but they’ll come around. And so will my story. Has anyone else used a vision board to gel ideas before starting to write? How have you designed your visual representation of your story? W. Soliman was brought up on the Isle of Wight in Southern England but now divides her time between Andorra and West Florida. She lives with her husband Andre and a rescued dog of indeterminate pedigree. 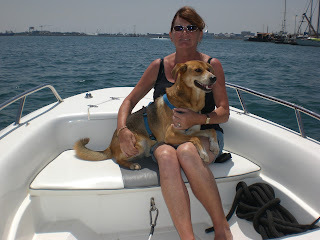 When my husband got tired of trying to kill himself in racing cars, light aircraft, helicopters and all the other stuff men turn to in a futile attempt to offset the inevitable mid-life crisis, he suggested that we try boating. We were at home in Andorra, up to our ears in snow and the heating was on the blink, so pretty pictures of sleek motor cruisers cutting through the calm, crystal clear waters of the Mediterranean seemed rather appealing. We fell for the hype and before we knew it, we were the owners of an ancient boat in need of a considerable amount of tlc. For Andre, that was the start of an on-going love affair with the sea and all things nautical. For me it was more a hate-love-hate thing. When the sea is actually as calm as they make it out to be in those glossy ads then boating is a dream. But those days are few and far between. Most of the time you’re tossed about like a loose coin in a washing machine, feeling sick and wondering what the hell you think you’re doing. Still, never waste an experience, that’s my motto, and one good thing to come out of hours of staring at endless expanses of sea was The Hunter Files, my series of marine crime mysteries, published as ebooks by Carina Press and also by Audible. 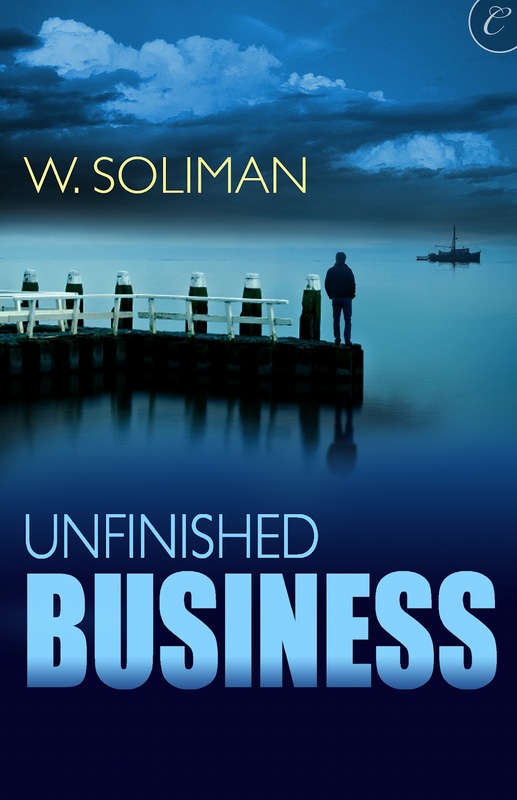 The first two, Unfinished Business and Risky Business, written under my other persona, W. Soliman, are already avilable. Lethal Business joins them next March. Charlie Hunter is, like me, a Brit. He shares my husband’s passion for boating and, at forty, having taken early retirement from the police, plans to live aboard his trawler yacht in Brighton marina and spend his days restoring it to its former glory. Charlie’s dream life doesn’t get off to a good start when a woman involved in one of his first cases as a detective accosts him, trying to persuade him to look for her missing sister. Charlie, a soft touch when a pretty woman turns on the tears, reluctantly agrees. Mind you, if he’d known his investigation would lead to a gang of ruthless Russians, leaving him and Kara fighting for their lives, he probably would have stuck to boating! But I’m getting ahead of myself here. Writing this book was a departure for me, since it’s in the first person, obviously from a male perspective. Andre came in useful here, both with technical boating issues and likely male reactions in given situations. Can’t say more than that! Here’s how Carina describe the books. Charlie Hunter has retired early from the police, looking for an alternative lifestyle aboard his trawler yacht. 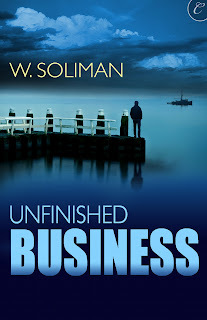 But his past won’t leave him alone and he finds himself being dragged back into an unsolved case when Kara Webb persuades him to look for her sister who’d gone missing fifteen years previously. 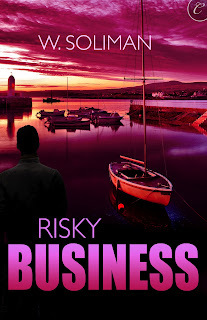 The search leads them to Weymouth, where Jasmine Webb is living, married to a Russian Mafia boss. Charlie always doubted that Mike Kendall killed bookie Jeff Spelling. Persuaded by Mike’s daughter to reinvestigate, Charlie is drawn into the murky world of race fixing. When the solicitor acting for powerful gaming club magnet Peter Garnet is also murdered, Charlie is forced to confront dormant family issues when his estranged step-brother appeals to him for help. His old nemesis, Inspector Gillian Slater, is out for Charlie’s blood. Charlie was one of the last people to see the solicitor alive so she’s convinced he knows more about his death then he’s prepared to admit and is determined to pin the crime on him. 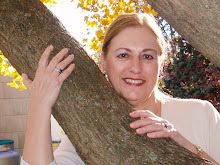 Please welcome Wendy Soliman to Make Mine Mystery by leaving a comment. Now, on TV and in movies, we see squints pull DNA evidence from a tiny spot of blood or find a suspect in a data bank with a few strokes of flying fingers on a keyboard. Or they access security cameras from every street corner in the city and spot the getaway car. Okay, that’s progress. Uberscience and superforensics. Technology has taken crime investigation into a whole new world. On the screen anyway. Will this eventually have an effect on crime writing? I know amateur and cozy sleuths don’t have the multi-million-dollar forensics labs to rely on, so they find clues and suspects the old-fashioned way. Same for small town police departments with limited resources. But in recent years, something has come along called the “CSI Syndrome.” Judges and juries are not satisfied unless prosecutors have the accused’s DNA taken from the victim or, at the very least, fingerprints on a murder weapon. But I’m wondering if mystery readers will adopt that kind of thinking. Will we who write crime stories, in order to satisfy our readers, have to include more modern forensic science into our stories? Will our fictional protags have to spend more time in the lab and less time on the mean streets? I hope not. The old-fashioned way of figuring out whodunnit is a lot more fun to write. For me, it’s also more fun to read. I've blogged a bit on small-press publication and on self-publishing. I'm pumped that I can also, as of very recently, blog with some knowledge of traditional publishing. I have the great good fortune to call Kim Lionetti, of BookEnds Literary, my agent. 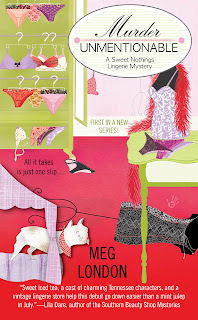 Kim and this agency have a long, successful track record in the field of cozy mysteries, many of them with Berkley Prime Crime. There's more than one study saying that most mystery readers are women over fifty or so. Whatever the demographic, Berkley has it nailed and there are thousands of loyal cozy readers who snap up dozens of the books as soon as they hit the book shelf, or the Amazon screen. It's possible I'll do a mystery or two or three through Kim that will be my own idea and written under my own name. For now, however, I have a deal (not actually a signed and counter-signed contract, because that world moves very slowly) to write three books as a Work For Hire. If you're unfamiliar with that term, you're not alone. Many, but not all, cozies are written under this arrangement. With a WFH, I am given a file, called a bible, that gives me the main part of an idea for a series thought up by a Berkley editor. This bible file contains 4 or 5 main characters, their names and roles, and maybe a brief description. I'm also given the beginning of the plot, but by no means the whole synopsis. Included are very brief sketches of ideas for books 2 and 3 in the series. To be decided are the book titles and my name, as the author (hence the unfinished contract at this point). The publisher will own all the rights, including plot, characters, and author name. There used to be a restriction on revealing who the WFH author really was, but that's removed and everyone will know it's me. This is a great way to get a foot inside the door of traditional, agented authorship. I didn't have to think up an idea the publisher might like--the idea is already there. I just had to write something they liked and want to publish. It takes half the doubt away. I'm looking forward to this whole process and seeing how the big kids do it. 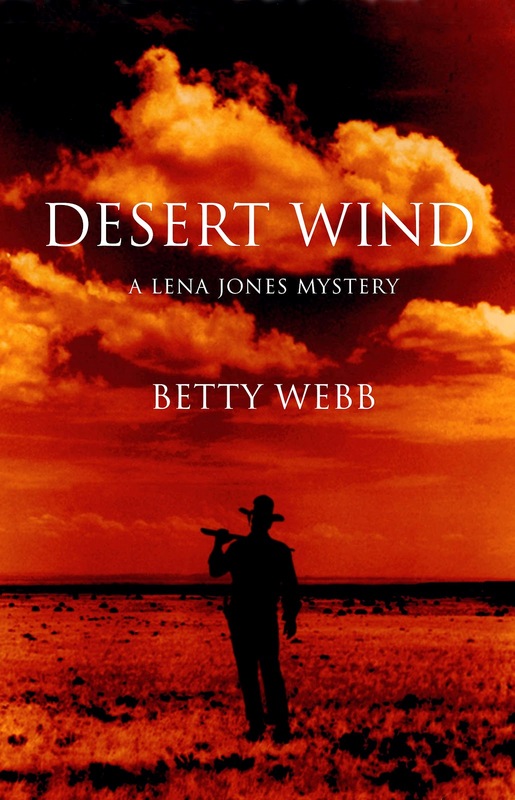 Betty Webb is the author of the popular Lena Jones mystery series: Desert Cut, Desert Run, Desert Shadows, Desert Wives, Desert Noir and Desert Wind. She also shows her softer and more humorous side in a series set in a fictional California zoo. The first book in the Gunn Zoo series, The Anteater of Death, was released in November 2008. Betty, you’ve received some great reviews for your latest release, Desert Wind, including a starred review from Publisher’s Weekly.Why did you decide to write about the uranium mining which led to the deaths of John Wayne, Susan Hayward and many others? Here in Arizona the newspapers have been full of articles about people protesting the uranium mining at the Grand Canyon. One part of the Canyon is already radioactive, which I consider an outrage – and as you know, the feeling of outrage is what leads to all the Lena Jones novels (as in“Desert Wives,” where the treatment of women and children in the polygamy compounds had me frothing at the mouth). After doing some research, I realized that the uranium mining problem also connected up with the nuclear testing program in Nevada, and then –horribly enough – to the filming of “The Conqueror,” which starred John Wayne. Almost half of the film’s stars, extras (including around 150 Paiute Indians) died of cancer after they’d been exposed to concentrated nuclear fallout during one of those tests. Tell us about your writing background and the presidents you’ve interviewed. I wrote my first novel when I was 14. It was called “Desert Mane” and was about a horse. Although it was too amateurish to get published, it taught me that even if you only write one page a day, in a year you’ll have completed 365 pages – an entire book! Many years later I became a reporter, which I absolutely loved, and some of the stories I covered made me want to start writing novels again. Reporters uncover a lot of scandals involving the rich and powerful, and that material is simply too rich to confine to a short newspaper article. Over the course of my newspaper career I was able to interview many powerful people: actors, rock stars, comedians, and politicians (odd, isn’t it, that I mentioned politicians right after comedians). Among the rich and famous were presidents Richard Nixon (surprisingly genial), Jimmy Carter, and once even (for a brief couple of minutes) Bill Clinton. Other big “gets”were Newt Gingrich (highly articulate), John McCain (the guy’s a hoot, a side of him most people don’t get to see), astronaut Buzz Aldrin (I was so impressed I slobbered all over him), Bob Hope, Charlton Heston (very gallant), Jay Leno, Jerry Seinfeld, Walter Cronkite, Patrick Swayze (he kissed me! ), Norman Mailer (every bit as irascible as you’d think), Tony Bennett (major charmer), the great Joan Baez, and just about every rock star out there. You’ve tackled some serious social issues in your desert series. Did the plots originate from stories you covered as a journalist? I either covered those stories or some of my reporter friends did and I went chasing after them for more information. That was the case with “Desert Cut,”which exposed the fact that our goofy immigration policies have brought the horrific practice of female genital amputation to America. One of my friends on another paper let me know about that one, then I followed up with my own research. Same with “Desert Run.” I heard the reporter in the cubicle next to mine interview one of the prison guards at a German Prisoner of War camp that existed here in Arizona. The rest of the books emerged from my own reportage. Do you ever worry about repercussions from local and federal authorities when you expose crimes they would prefer to keep under wraps? Something similar happened to me, Betty. Soon after my book, Murder on the Interstate, was released (concerning homegrown terrorists in Arizona), my computer crashed three days in a row, for no apparent reason. Makes you wonder, doesn't it? Why did you decide to write a light-hearted series about zoo animals? I needed the comic relief. Plus, my volunteer work at the Phoenix Zoo was just too interesting not to use. The animals I feature in those books (“The Anteater of Death” and “The Koala of Death” and now “The Llama of Death,” which comes out next January) are animals I have personally known. Which of your awards means the most to you and why? I’ll have to go with the Silver Medal for “Desert Wives”which I received from Women Writing the West. The gifted Barbara Seranella and I both shared that one, and since I’ve always greatly respected her work (“No Human Involved,” etc), it was an honor to for one brief moment, to have my book judged equal to hers. 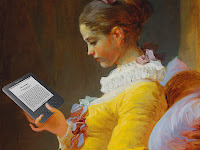 How do you feel about the e-book revolution? 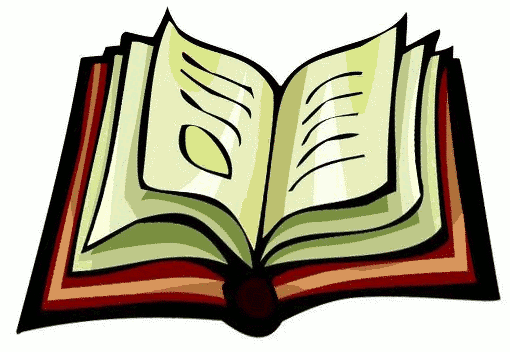 Has it helped your own book sales or simply decreased print sales? I have mixed feelings about it. I love bookstore and libraries, and there’s little doubt that e-books are hurting them. However, I also love to see people get published; everyone has a story to tell – some just tell it better than others. As far as sales go, my hardbacks and paperbacks are still outselling my downloads, but I have noticed from recent royalty statements that sales of downloads are increasing. So we’ll have to wait and see on that. Write. Every. Day. Creativity is a muscle – and like all muscles, use it or lose it. And whatever you do, don’t wait around for“inspiration.” Inspiration only happens when you’re already hard at work writing. As writers and as readers, our world is populated with words – big words, little words, fun words, obscure words, plain words, old words, new words, all kinds of words. But I wonder if that isn’t changing. I don’t have a particularly big vocabulary but I do respect the wonder and the variety of the English language. My parents were both ‘word’ people who instilled in me a love of reading and an awareness of the magic of words. They also taught me that words are tools of communication, meant to convey the exact nuances of thought from one person to another – not for confusion, or pride of vocabulary, or showing off. Words are the essential element of communication. Except if you are joking, of course. Words were like toys in my home, to be enjoyed and played with and explored. My father, a master wordsmith if there ever was one, had a party piece that I remember from earliest childhood. To my shame, I was almost grown before I realized it wasn’t a regulation nursery rhyme. Daddy – and later I – could stop a cocktail party dead with this little bit of doggerel. Both examples are ridiculous, I admit, but somewhere in the middle is what is regarded as ‘average communication English’ – the language we all use and understand every day. Or at least, so I thought. What has brought all this to mind was a review I received. It was a very good review, if not a downright fantastic one; the reader liked the story and the characters quite a lot. What made my eyes pop open was the complaint that I was both (theoretically) smug and showing off my knowledge by using too many big words. ‘Stentorian” “Plebeian” “Obstreperous” were three mentioned. Excuse me, but aren’t those fairly common words? They were when I grew up. Does using words of more than one syllable and that are perhaps not used every single day make one a smug show off? I gaped at him uncomprehendingly. I thought I had been using rather simple English. I was getting angry. I asked him if he liked hamburgers. He looked at me as if I were truly mad, and said of course. Then I asked him if he would like hamburgers for every meal, every day, forever. No lasagna, no Mexican food, nothing but hamburgers. He said of course not – it would be too boring. Smiling, I asked him if it weren’t just as boring to have just one word for something. He said no, that it was efficient. I didn’t throttle him. I was tempted, but I didn’t. Sometimes I regret it, too. Now it would be very easy to dismiss this little story as just an encounter with one rather ignorant man and leave it at that, but he’s not alone. I read very broadly in a number of genres from a number of time periods, from the early 1800s to the present, and the decay of the language is startling. Words that were commonplace a hundred years ago for all education levels are vanished now. Words have become shorter, more repetitious and fewer. If language were some form of wildlife, it would be labeled as endangered. Isn’t it supposed to go the other way? Isn’t a language supposed to expand and diversify and develop over the years instead of decline? Yes, we have added words, but they are largely derived from contractions, corruptions and techno-speak. The internet has added an initial-only deviance – LMAO, LOL, ROFL – which obviates the need for language at all! Such short-cuts should be anathema to writers – after all, our business is words – but so many have embraced the practice it’s embarrassing. And where does this stop? Do we keep ostracizing words that are obscure or polysyllabic or redundant from the common lexicon? What am I saying? We’ve been doing it for two generations, and the language is suffering. We are sliding at an alarming speed toward the “Hungry. Want eat” simplicity of the caveman. Or the determinedly ignorant. Every time I do a blog tour for one of my books, I learn something more about doing one. When I first started doing them, I hired a company to plan and do everything for me. I used them several times and realized that they didn't always pick the best blogs for me to visit. Other things happened and now I'll share some of what I've learned--bet I'll learn more by the time this our for Raging Water is over. You should check to see if the blog you're going to ask to visit has a good number of followers. Doesn't have to be a huge amount, but a good number means there are people actually reading the blog and a regular basis. I'd love it if everyone got rid of the captcha code. I just got rid of it on mine, I didn't even know it was there. When you leave a comment on someone's site and you can't get past the captcha code after several tires, you probably aren't going to keep trying. I once tried 8 times before succeeding. I would've quit sooner but it was a place I had a guest blog and I was leaving a reply to a comment. And that brings me to another subject. When you're a guest on someone's blog, for goodness sake go back and check once in awhile and respond to the comments that have been written. I've had several guests on my blog who never came back at all, not even to thank me. Make sure to have something new on every blog. Even if the host asks for the same topic as another, make each one different. We are writers after all, how hard is it to come up with something new. A contest will keep people following you. If you plan to give away a book, give a different one than the one you are promoting. The idea of a blog tour is to interest someone enough that they'll buy a copy of your new book--if you're offering it as a prize everyone will wait to see if they won and then probably forget about it all together. A few days before a blog post will appear, send an email to the host reminding them. I've only had one that had completely forgotten. Some wait to put up everything the day before. It's much, much easier when someone puts everything up right away and dates and times the post. And finally, put up different photos of yourself. I couldn't remember what pictures I'd used and it's been a surprise to me too when I visit the host blog for the first time the day I'm a guest. 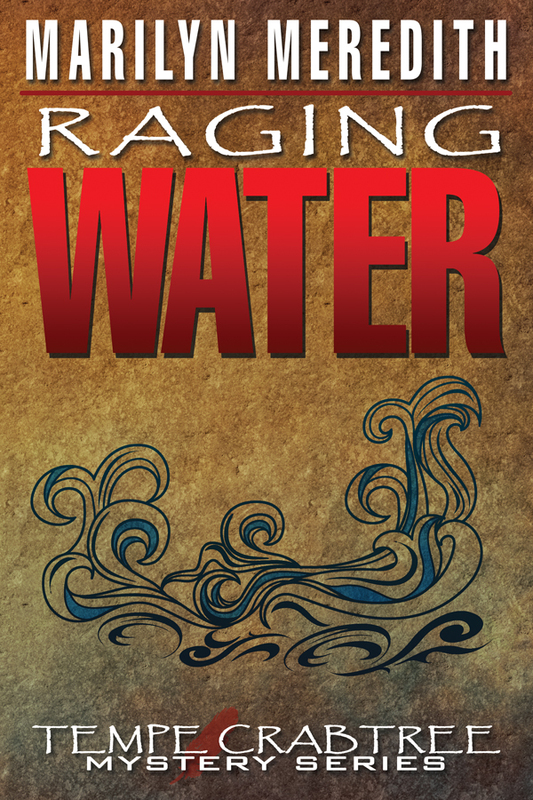 The book I'm promoting now is the latest in the Deputy Tempe Crabtree mystery series, Raging Water. 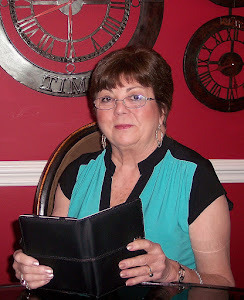 If you'd like to visit some of my posts, you can got to my blog,Marilyn's Musings and scroll down until you come to one of the places where I've posted the week's schedule. 1. Writing is a process. So is marketing. I continue to learn how to hone my craft, and try to keep up with new ways of reaching readers. 2. The internet is a writer’s best friend. We can communicate with readers and our fellow writers without leaving home or spending postage. But beware of overselling yourself. No one wants “buy my book, buy my book” shoved constantly in one's face. 3. Writing is still a lonely pursuit. The words must be gotten down—typed or written, the plot must be worked out. But help is only an email away because your fellow writers are friendly and willing to help. Join writing organizations and Facebook writing groups. I’ve met some of my best friends this way. 4. Being an author takes you all sorts of places--like bookstores and conferences, classrooms and libraries--and has you doing things you've never done before. Like giving a half-hour TV interview, fielding questions while monitoring a panel, starting a chapter of Sisters in Crime, guest blogging when a new book comes out. We're offered many opportunities to grow as writers and people. The trick is to be open to them, and more opportunities will come your way. We all know we need to start our stories with a hook, something that’ll draw the reader in right away and keep him or her riveted to the page. There are some great ones out there, and I’d love you to tell me your favorite opening lines in the Comments section. A recent intriguing opening line I read is from an upcoming new release by E.F. Watkins entitled One Blood. Does this make you wonder at all: Without meaning to, Camilla Torres had picked a good place to die. What’s the best way – open with dialogue? That can be an attention grabber for sure, depending on how provocative or intriguing those words are! Open with a fast-moving action scene? It definitely gets your readers’ adrenaline pumping. Open with a description that pulls your reader into the atmosphere of the story? That can be very effective. But the reader feels let down if a great hook degenerates into a mediocre narrative. Therefore, it’s our job as authors to keep that energy of a great first line moving. You must engage your reader and don’t let that oomph stop. Keep the reader’s interest piqued and the story and characters moving forward at a consistent clip. Of course, there have to be moments where everyone catches his or her breath, but the reader is counting on you to deliver from that great opening line…right through to the final syllable. So, tell me in the Comments section as well – what is your favorite closing line? 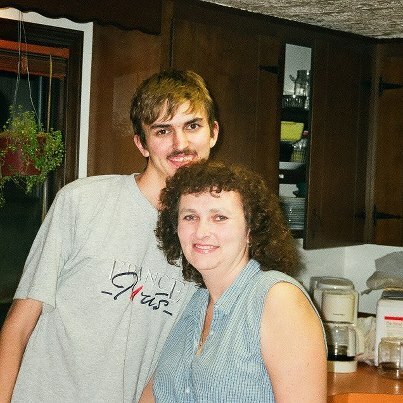 Lynn and her son -And Orange Counter Tops. I thought a lot about this post. I'm not going political, I'm not taking sides, but I think since I'm blogging on 9/11 - I need to address the elephant in the room. Days and questions shape our lives. I remember the day the Challenger exploded. And the day Elvis died. I even remember seeing Bobby Kennedy's funeral procession on our black and white television. So where were you when the world changed? Or at least the world for Americans? I still lived in Idaho, but I'd been tentatively offered a lucrative contract to train on a child support system install in North Carolina. Two years, going from office to office, teaching people how to use the new system. Sweet gig. And I was totally looking forward to my new digs as well as the new job. My husband to be had a construction business and the guys all met at our house at the beginning of the day for coffee and assignments. When I went through the living room, I saw the television was on and the guys watching a movie. A couple years ago, my friend married one of the first responders from the New York police department. As we walked through Times Square, she saw the danger, I still saw the beauty. I wonder, if the world hadn't changed, and I'd gone to North Carolina for that career, would I be writing now? I want to know, but I don't want to know. I hear all kinds of rumors about the latest gadgets, such as the new iPhone, which will probably be called the iPhone 5, and the latest iPad. How much will they cost? Can I afford them? What features will they have? I'm dying to know all the details about available memory and new features, etc. I want all that information now. Then again, I don't. There's something fun about being kept in suspense. The longer the suspense, the more the curiosity grows. The same can be said for a good book, be it a mystery or other genre. I and other readers are dying to know the answers to burning questions, but once learned, the book is for all intents and purposes over. The lesson to be learned is not to give away the store. When writing a novel of whatever type, only explain what needs to be explained, and nothing more. Instead, throw in hints in strategic spots to build suspense. Get the readers agitated and wanting to know the answers, but string them along as far into the book as possible. Then, spill the beans as near to the end as you can. I watch a lot of true crime shows on TV. These are documentary retellings of real life crimes, usually murders. I can’t get interested in a lot of the dramatic mystery shows that are highly rated. The only mystery in some of them is when are the main characters going to go to bed together. In others, all the sleuthing is done by punching a few keys into a computer and getting an incredible amount of information about the suspects. In others, a CSI takes one look at a dead body and reveals the killer had red hair, was left -handed, drives a blue BMW, and lives in a three-story house. After that, the show revolves around when the main characters are going to go to bed together. Most of the comedy shows don’t interest me either. I see nothing funny about being loud, stupid, bizarre, or obnoxious. It seems in every one of them there must be a scene in which everyone screams at everyone else or some guy gets kicked in the groin, often by a little old lady or a child. I don’t see the humor. But in true crime shows, I see real cops investigating real crimes committed by real people. The investigators track down real suspects the old-fashioned way. They knock on doors, check previous criminal records, and talk to everyone living in the neighborhood where the crime occurred or who knew the victim. They search every nook and cranny for clues and wear out a lot of shoe leather to determine who had the basics for committing the crime: means, motive and opportunity. Motive is the element which intrigues me most. How can one human being believe taking the life of another human being will solve a problem? How can anyone be so twisted to believe killing is justified? Love, money, and revenge, I believe, top the list of motives. A woman whose husband left her for someone else decides to murder him. Perhaps the other woman also. A man covets his neighbor’s expensive home and car so much he kills his parents or his spouse for the inheritance so he can have them too. Serial killers may have no reasonable motive other than someone had the bad fortune to be handy when the inexplicable drive to kill surfaced. Psychopaths and sociopaths somehow lack the ability to respect the right to life of anyone but themselves. I often wonder if there is some physical malfunction somewhere in the mind of a killer. Are there neurons in the brain turned around backwards? Were some cells in their brain not fully formed at birth? Did some traumatic event early in life unhinge their ability to know right from wrong? The answers to these questions fascinate but elude me. Does anyone have the answers? I discussed small press publication when I was here two weeks ago and will spill what I know about self-publishing today. When I got my first small press contract, it was for trade paperback rights only, and excluded e-books. This was in 2010, for 2011 publication, not that long ago. The book publishing business has changed so much in such a short period of time! But even then, I had an e-reader and knew e-books were the new hot thing. So I was thrilled that I retained those rights. I had a few months before my book would come out and I knew I would self-publish the e-book, so I did a trial run. Over the years, seeking publication for a mystery novel, I had had a few short stories accepted in print and online magazines, some of which paid me a bit, most of which didn't. One story garnered an Agatha nomination. The thought had been rattling around in the back of my mind to collect them someday, and the time had come. I got permission where I thought I might need it, although many publications had gone out of business. I especially wanted the illustrations for the stories that had been illustrated, and was able to get permission for some of them. Looking over my stories, I realized some were light and fluffy, some were rather dark, some were barely mysteries at all. What would I use to unify them? I puzzled over this for awhile, then my eye was caught by photos of a patchwork quilt that a good friend made for my first baby years ago, and which I was giving to my daughter's son. I had taken photos of it before I gave it away. That was it! My stories were a patchwork. I used one of my photos for the cover and published it as an ebook. Knowing I would do this again for CHOKE, I took careful notes. Then, because I knew others would have to go through all of this, too, I published a short booklet of my notes (The Road to Self-Publishing). The process was trial and error for me that first time. It took a bit of persistence to get the e-books done, but not as much persistence as it had taken to get a novel accepted by a publisher--by a long shot! 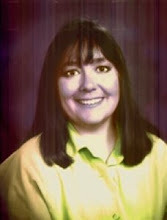 When the time came to do CHOKE, I knew, from my experience, that I would do Smashwords first, then Kindle and Pubit. After I formatted for Smashwords, I had a file almost ready to go for the others. I excluded distribution to Kindle and Pubit on the Smashwords sites. I'd heard that books are easier to find in those two places if you specifically publish there, rather than just let the Smashwords versions migrate. I think that has worked well. I've published several other things since then. A short story anthology that three of us from Austin did (ALL THINGS DARK AND DASTARDLY), SMOKE (the sequel to CHOKE), and a few separate short stories. It's been a few months since I did an ebook, so my booklet is probably out of date and needs additions. I've updated it every time I've published something. But I'll be doing BROKE very soon and will tweak it where it needs it. 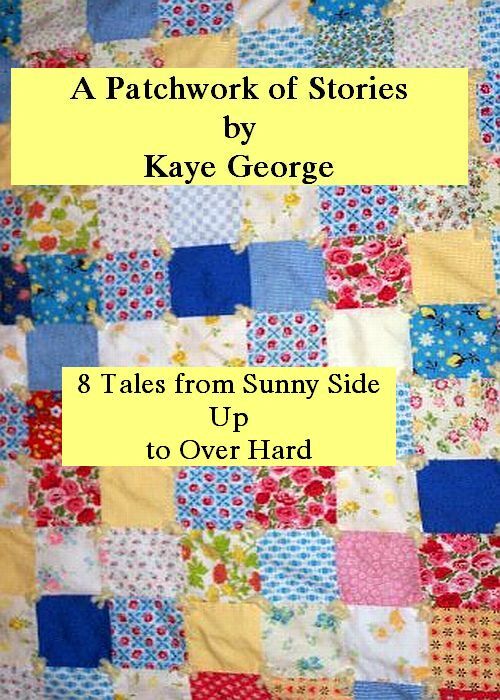 Links to all of the above can be found on my website, http://kayegeorge.com/. While you're there, go ahead and listen to the free short story on the home page. Or sign up for my newsletter--hint, hint. The solution to preventing pace-dragging scenes is to write them within a framework. By presenting scenes as though they were happening on a theater stage, all the drama takes place as it happens, not offstage and something for the characters to discuss. Readers remember what happens on stage and can make their own deductions. They needn’t wait for the characters to endlessly discuss what has just taken place. 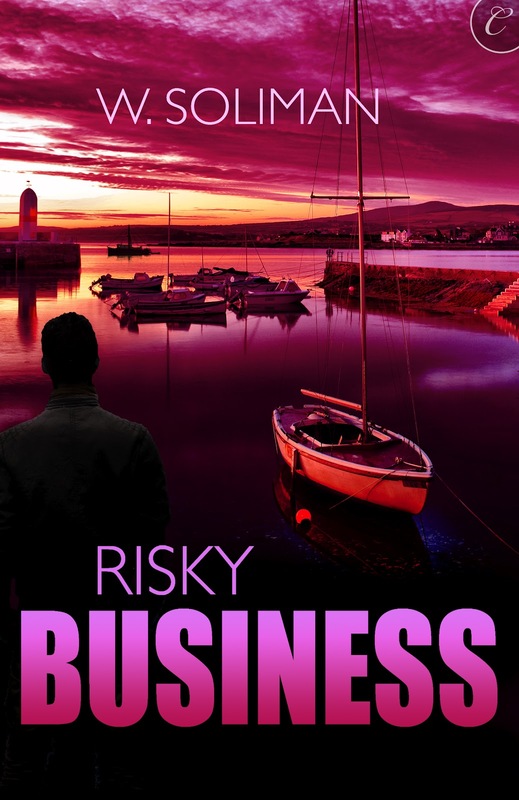 The scene’s momentum keeps the reader reading and her heart pounding as the action accelerates if the plot situation seems real, particularly when the character is in danger. Instead of characters talking about a past experience, replay the scene in flashback action. By reliving it in living color, the reader can experience it for himself. Another good way to involve your reader in a scene is to reveal information in dialogue. A good plot reveals new information in each chapter and one of the best ways to deliver the news is to have the characters act it out. Give the narrator a rest. It’s much more powerful to have events happen now than to hear about it later, secondhand. Character movement is essential in a good scene, whether the protagonist throws a chair through a window in anger, or flicks ashes from a cigarette into his cup. Don’t leave your characters standing around without something to do. Body language is a giveaway when a character’s motives are in question. If a man drops his head when asked if he killed someone, it usually means he’s guilty or knows who committed the crime. If a woman lifts a palm to her chest while denying something, changes are she’s telling the truth. If your character comes to an important decision or suddenly realizes that he has the answer to a problem, avoid internal monologue as much as possible. The realization will have more impact if it happens in someone else’s presence because it raises the emotional stakes for all concerned, as well as your storyline. And finally, turn your back story into front story whenever possible or delete it from the plot. Back story is your character’s past, which you feel needs to be included. It’s usually spooned in as narrative summary instead of dialogue and lacks the elements of scene writing. Because it doesn’t take place in the present, there’s no dialogue or scene setting or action taking place. When that happens, the best part of back story is casually written off without the slightest hint of emotion. And as I've said before, emotion drives the plot. From August 23rd through the 26th, I was ensconced in the Hutton Hotel in Nashville, Tennessee as a conferee at Killer Nashville. I used to do lots of conferences, but slowed down my attendance when they became inseparable in their offerings. However, the need for publicity being what it is, I decided I had to get back on the circuit. Boy, am I glad I started with Killer Nashville. Not that it was my first trip (actually, second), but it was my best trip. Clay Stafford and his staff have broken the mold and set a new high for writer's conferences. Before I forget, Beth (Jaden) Terrell is definitely the hostess with the mostest. It seemed that with the advent of "approved publisher lists" some years ago, conference panels were filled with the same folks from con to con—those who had a publisher on the "list". Nothing wrong with that, I suppose, if you're one of those lucky people. But that's a small, very small, percentage of writers today. The vast majority are on the outside looking in, the proverbial kid in the candy store. But not Killer Nashville. Sure, they had the NY pubb'd and a great lineup of Guests of Honor, but they also offered exposure for "outsiders". For example, there were "reader" panels where authors read from their books. I was lucky enough to be on one of them. I read from my book, THORNS ON ROSES, not from an "approved" publisher. Chester Campbell attended and was a panelist. Last I remember, Chester wasn't published by an "approved" publisher, either. But he's a dynamite author and Killer Nashville recognized it. 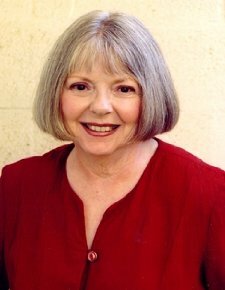 Sylvia Dickey Smith, another "unapproved" author had an hour session to herself. She was as knowledgeable as any NY published author would have been. I had the opportunity to meet and hear many other talented people. In fact, far too many to try and name here. Ebooks and self-publishing venues, as well as small presses, received ample exposure through the eyes of those who do them. And, of course, there were the NY published authors. What I'm trying to say is Killer Nashville reminded me of conferences I attended during the '90's and first few years of the 2000's. Something for everyone with snobbery held to a minimum. If you only attend one conference in 2013, I recommend it be Killer Nashville. And be sure to sign up early so you can get a featured position. A bit of tooting my own horn here. 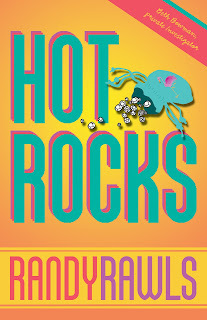 Today, I received the first review of HOT ROCKS, which will be released by Midnight Ink in November. It was from Kirkus and will be in their September 15 edition. Couldn't knock the smile off my face with a frozen salmon. That August Saturday was fine and hot and The Husband and I were in a mood to roam, so when we heard that Larry McMurtry was closing some of his used bookstores in Archer City – he has four there – we decided to go out and see what was going on. After all, it was a lovely day and it was only a two and a half hour drive out there. Archer City is on the eastern edge of West Texas, that fabled land of cactus and dust and unhindered miles of sky. Archer City is small – just a couple of thousand people – and was the model for Anarene in the book/movie THE LAST PICTURE SHOW. And yet, thanks to Mr. McMurtry, it is also a mecca for bibliophiles the world over, with four enormous used bookstores. And I do mean enormous. I didn’t have an idea of how much so until we actually got there. The bookstores are scattered around the low, weathered cluster of buildings that is Anarene’s downtown. There is also a disproportionate number of antique stores, too – five, as I recall, which I look forward to exploring on another trip. Unimaginatively named #1, #2, #3 and #4, the bookstores are jammed into old buildings that originally had vastly different uses but which were turned into book heavens by the liberal applications of ten feet tall white painted shelves placed in close ranks, with shelves jammed as full as possible. #s 2, 3, and 4 are being closed and the contents auctioned off. The Husband and I sat and watched the auction for a while. Watch was all we could do, as we were not – thank Heavens! – registered bidders. All the books were sold in lots, a lot being a floor to ceiling bookcase, which means lots of books. LOTS of books. Have I said we live in a house with three overflowing libraries? We don’t need any more books. We poked around for a while, astonished at what was there. For example, a five inch thick octavo-sized hardback of Books Printed In the English Language, 1938-1943. There were several of them, in various and not necessarily sequential years. The entire oeuvre of Gore Vidal. Texts and technical books on subjects ranging from maintenance of water flora to aerodynamics, none of which was less than twenty-five years old. Unremembered fiction of all genres going back at least a hundred years. And Heaven only knows what else. Of course you couldn’t pull a book from a lot to buy, but I did peek into a couple of them. Amazing. Since I’m supposed to keep this about writers and writing, perhaps I should say something about how I felt while looking at all those books. Some, of course, were by names from many eras that are instantly recognizable. More, though, were by people that I’ve never heard of, and may have not been very well known in their own time. Some didn’t even have author’s names attached. It makes you think, doesn’t it? How many people have gone through the agony – and the ecstasy – of writing and publishing a book, only to have their name fade from popular memory? Was it worth it to them? Were they successes in their day, or almost as unknown then as now? But – to look at it from another viewpoint, famous or obscure they might have been, but their words, their ideas, will live forever – or as long as paper and ink can survive. That’s not too shabby, and it’s all because of used bookstores and libraries all over the world. As far as Archer City is concerned, store #1 will remain open for the foreseeable future, and it is a treasure trove in spite of the unprepossessing building with the sagging and water-stained ceiling. There is an air conditioned ‘showcase’ room, where the valuable books are kept, and behind that is another enormous building simply bursting with tall, stuffed bookshelves. The fact that this particular room was only minimally air conditioned (according to the store manager – I didn’t feel any a/c at all!) and it was 105F outside, I didn’t last long, After a few minutes of looking my eyes glazed over and my brain went into overload. Of course I had headed immediately to the mystery wall – ten feet high, probably fifty feet long and solid with books. I saw a couple of rarities that I would love to have, but since the first one was $65 I put it back. There were ones that were as low as $5, too, but by that time the sweat was running into my eyes and I was starting to feel a little sick. I do not do heat well, unlike The undaunted Husband, who served two summers in Iraq when the average daily temperature was 120F and he wore full pack and armor. I left him happily ferreting away among the history books, went back into the air conditioning and claimed a seat at the reading table. After a little while of simply breathing and trying to stop sweating, I recovered enough to read a couple of book collectors’ magazines. Really, the prices on some books…! They made that little $65 rarity look positively cheap. I had been sitting there for a while when this little old man shuffled in and sat down at the next seat at the table, about three feet away from me. I glance up ... and it is LARRY MCMURTRY himself. I am actually barely an arm’s length away from one of the best-known writers in the world – and one of my idols. I would love to write that we fell into conversation and had a delightful time with him giving me all kinds of information about my own career, but it didn't happen that way. I don't know if he is just old, or sick, or simply exhausted from the multi-week process of the sale, but he sat there like a bump on a log, not looking at anyone except when a customer came up and started chattering to him. Then he would mumble a response and extend a very limp hand for a short shake. I didn't speak and he didn't speak and we just sat there until The Husband came out of the back room with an armload of books - just what we need! More books! - and showed them to me. As we were getting read to leave, I couldn't help myself. I introduced The Husband and myself to Mr. McMurtry and told him how much I loved his work. He mumbled something polite and extended a very limp hand for a short shake. It was enough – almost. Remember when we were told to write this as a composition for school? When I was a kid, I always had something exciting to write about where we went and what we did on our vacation. These days it seems almost everything I do is connected to writing and promotion, there were a few exceptions.. Here's a list of what I did from June to now. Drove to Sedona AZ for a writing friend's 90th birthday party. While there, did a talk at the Well Red Coyote bookstore. My cousin and her husband came to visit for a day. Hubby and I drove over to Morro Bay where we stayed in our favorite hotel. I spoke about writing mysteries at the Los Osos Public Library. The next night, the Central Coast Sisters in Crime hosted us at a lovely dinner party. In July, I gave my presentation about "How to Write a Mystery" to the San Joaquin Sisters in Crime group. In August we headed back to the coast but this time we stayed at the Santa Maria Inn. We went to dinner with a writer friend and her husband. The next day I had a booth at the Nipomo Librrary Book and Craft Fair. Drove up to the mountains and had lunch with a group of writers and gave them my how to write a mystery presentation in a more informal setting--and sold a few books. This whole time I was doing Facebook and Twitter promo for No Bells, the latest in my Rocky Bluff P.D. 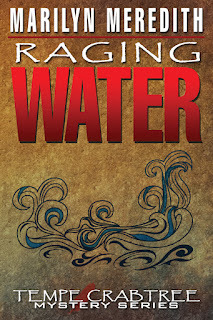 series and planning my blog tour for my next Deputy Tempe Crabtree series, Raging Water. The tour began September 2nd at http://pat-writersforum.blogspot.com/ with the post "I See Mystery Everywhere." Believe me, finding people to host, figuring out what to write, writing it and juggling the calendar is a lot of work. I also read books and wrote reviews for them. And how did you spend your summer vacation? 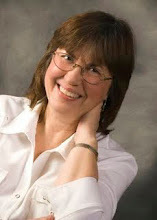 I'm delighted to welcome my friend and fellow writer, Peg Cochran, as my first guest to Make Mine Mystery. I’m in awe of Peg’s unbound energy and prodigious output. 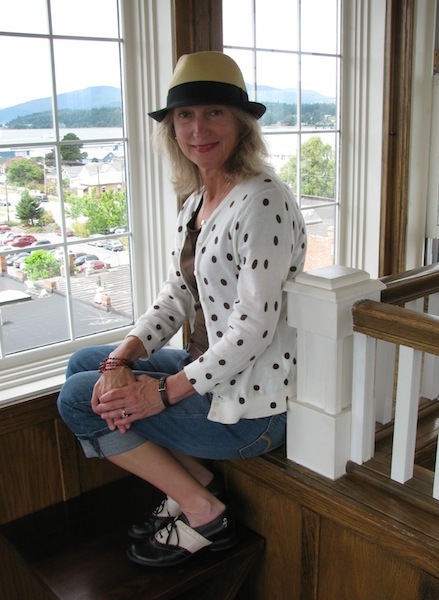 While working full time, she writes two cozy mystery series for Berkley Prime Crime. 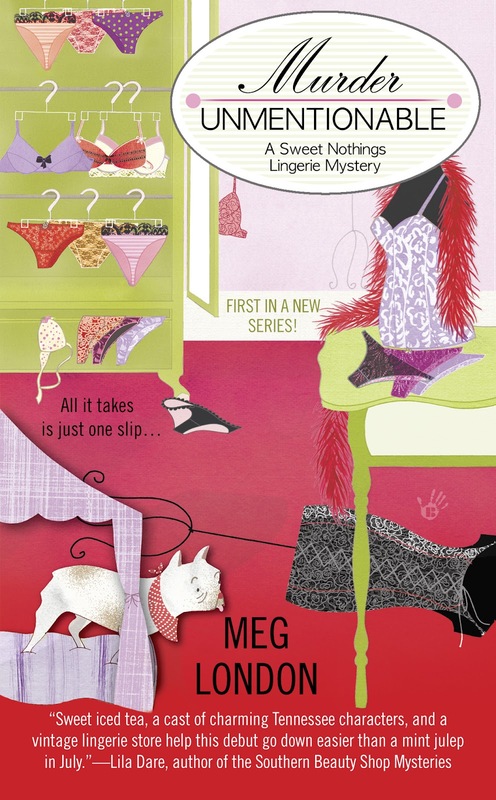 The Sweet Nothings Vintage Lingerie series, written as Meg London, is set in Paris, Tennessee. 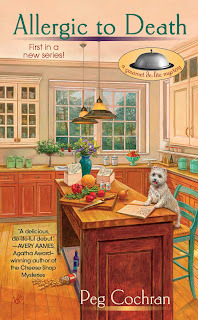 The Gourmet De-Lite series, written under her own name, is set in Connecticut. Marilyn: What did you study in college? How do you think that affected or influenced your writing? Peg: I was a Journalism major at Ohio University. I loved to write and was considered “good at it” and that was the only major that I knew of at the time that involved writing. I ended up doing a lot of freelance non-fiction writing for magazines and web sites, but what I really wanted to write was fiction. Marilyn: How do you think the little Westie in one of your series adds to the dimension of your cozies? Peg: Reg is quite a character—both the fictionalized one and the real one who lives with me! I think he allows for some playfulness in the series and helps show my protagonist’s nurturing side. There is a French bulldog named Pierre Louis Auguste in my Sweet Nothings series. The first book in that series, Murder Unmentionable, debuts on September 4. Marilyn: What part do you think romance plays in your cozies? Peg: I think romance is important because it’s a part of real life for most people, and it helps lend some spice to a book. In Allergic to Death, first in my Gourmet De-Lite series, Gigi is pursued by two men. She’s just come away from a divorce, and is leery about getting involved and is in no hurry to make a decision. In Murder Unmentionable, Emma Taylor reconnects with her best friend’s older brother—and he suddenly realizes she’s not a kid anymore. Meanwhile, her Aunt Arabella is juggling two different gentlemen herself! Marilyn: How do you pick your characters’ names? Peg: Sometimes they just “come” to me. I wanted Gigi to be half Irish and half Italian so I gave her the surname of Fitzgerald and decided on Giovanna as a first name (my grandmother’s name!) and nicknamed her Gigi for short. The detective, Bill Mertz, is rather stiff and not terribly sophisticated, and I thought his name conveyed that. I often look in the phone book for last names, and I have two baby name books that I consult. My husband still gets nervous when he sees me thumbing through them, despite the fact that we are now grandparents. Marilyn: When you create the settings for your cozies, do you have a real location in mind or do you create a new scenario? Peg: I’ve done both. The Gourmet series is set in a fictional town in Connecticut which I’ve populated with all the things I love about small towns on the East coast. The Sweet Nothings series is set in Paris, Tennessee, but I’ve added a lot of fictional buildings to their charming downtown area, including Sweet Nothings, Arabella’s vintage lingerie shop. Marilyn: What would you like your readers to come away with after reading one of your cozies? Peg: A warm, cozy feeling of course! And that they’ve met some fun characters they’d like to meet again. And that justice was served. Marilyn: What is it about mysteries that appeals to so many readers? Peg: I think it’s partly the puzzle and the chance to ferret out clues, motives and red herrings along with the protagonist. Also, that you generally have a wide variety of characters and that things happen. There’s rarely a dull moment in a mystery! 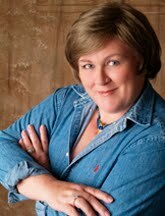 Bio: Peg grew up in a New Jersey suburb, about 25 miles outside of New York City. After her husband died, Peg remarried and her new husband took a job in Grand Rapids, Michigan where they now live . Besides her two debut cozy mystery series, Peg has two e-books on Amazon--a mystery, Confession Is Murder and a young adult book, Oh, Brother! 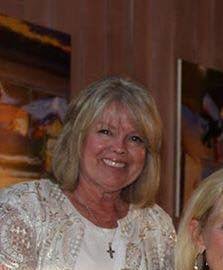 Visit her at www.pegcochran.com and www.meglondon.com.